Currently I am restoring a 1953 Saturno Corsa Piuma and 1954 Saturno Sport. I'll be posting progress and technical information on this project. 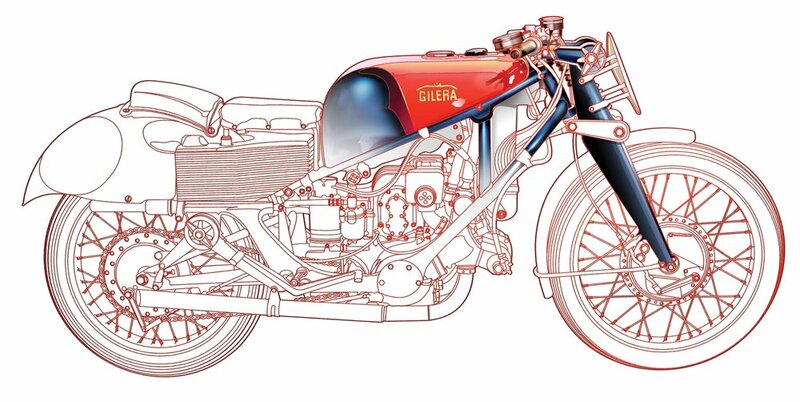 Please browse our Gilera photo gallery and read about the history of "The Mark of Champions"
Choosing the five most influential motorcycles of all-time is no easy task. Which is why we picked six. My second pick is the transverse inline-Four Rondine of 1923, developed by fresh-baked engineer grads Carlo Gianini and Piero Remor. 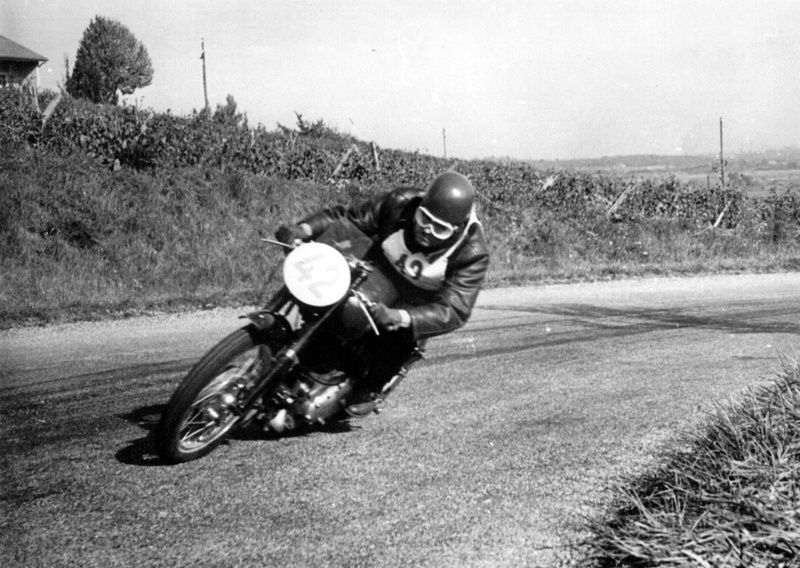 They knew that thudding along on one cylinder wasn’t high-class, but they also knew the problems of the Belgian FN motorcycle, with its smoother-running inline-Four set longitudinally in the frame. First, its length made it vulnerable to “the dreaded side-slip,” and once it got away, it was very hard to retrieve. (It rains in Europe, and city streets back then were paved with horse manure.) Second, natural air motion made the FN’s rear cylinders run too hot. So, the two engineers turned the engine across the frame, creating the short wheelbase riders enjoy to this day while giving all cylinders equal access to cooling air. 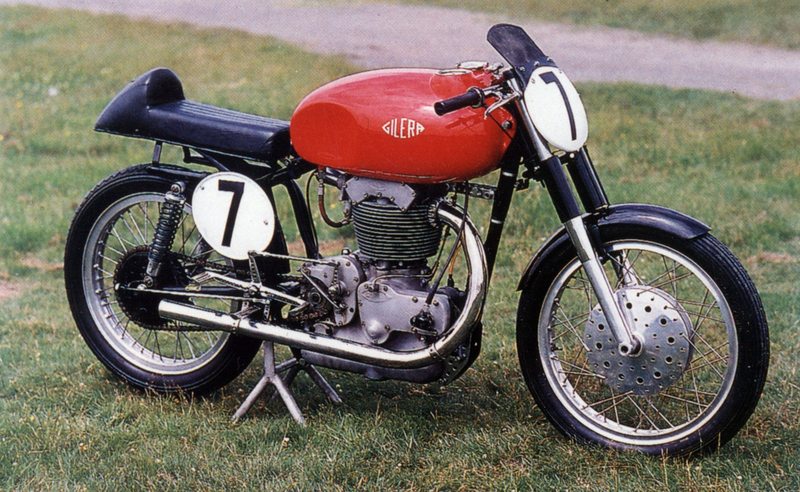 They kept scaring up wealthy sponsors until the whole show was bought by Gilera, which had the clout to make big things happen. Gilera Four became MV Four became Honda Four, and here we are today. Click here to read the article at Cycle World. This site is dedicated to Lucien C Ducret who passed away in 2016, he is greatly missed by family and friends. 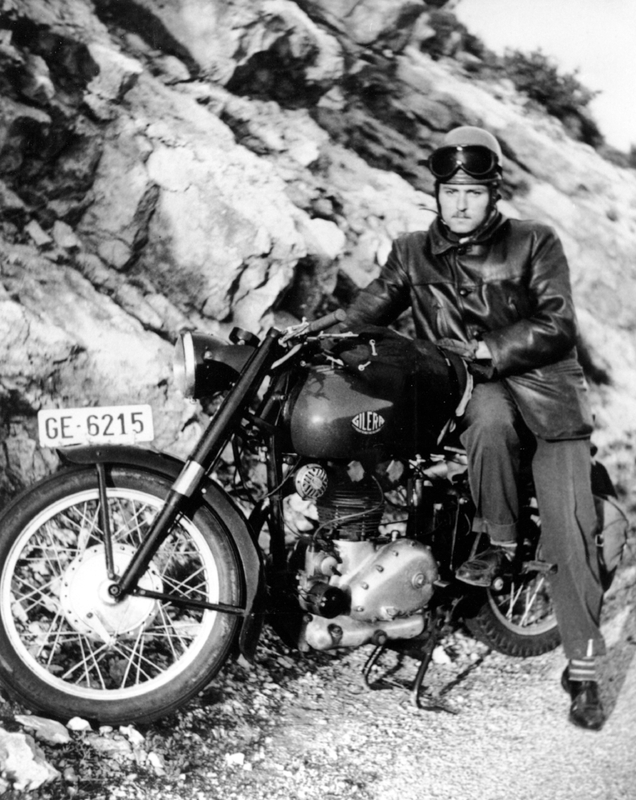 He was best known as the inventor of the Roto-Split BX cable cutter, but motorcycles were his lifelong passion. 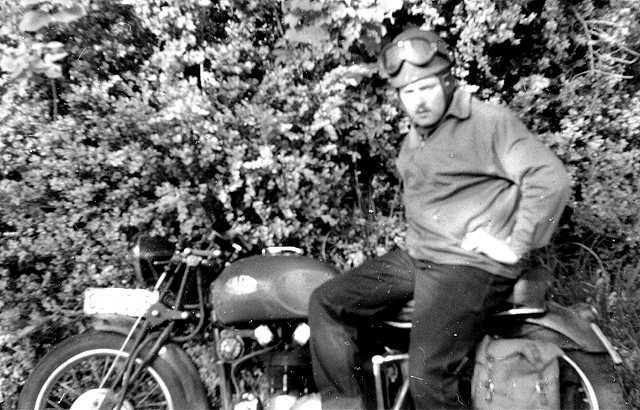 Work continues on his Gilera motorcycles and we hope to have them fully restored per his wishes. You can read his obituary by clicking here to learn about his life and accomplishments. Please consider making a donation to many of the groups fighting cancer, especially the Lustgarten Foundation.